After the Vietnam War came to a close in 1975, American citizens were greatly disheartened by the loss and devastation caused by the war. Facing high unemployment rates, high inflation, and oil shortages across the country, the American people were looking for a president who could revamp their spirits and take charge of the faltering economy. Known for his humanitarian efforts, James Earl Carter, later known as President Jimmy Carter, played up his farm-boy persona and won himself a presidential election. But his efforts to revitalize this troubled nation fell short of the mark. 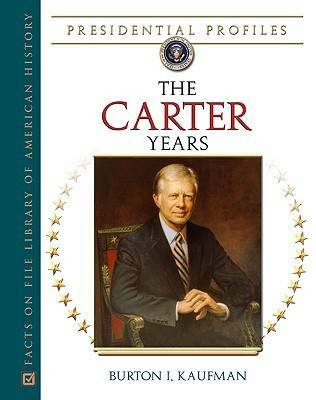 ""The Carter Years"" focuses on the administration of this president, including a section of more than 250 biographical entries covering all the key personalities connected to this administration; a chronology that spans the history of the administration; and a sizable appendix that includes important documents, such as inaugural addresses, important presidential speeches, tables listing the members of the White House staff, cabinet members, members of Congress and the Senate, and more. Biographical entries include: Bella Abzug; Zbigniew Brzezinski; William ""Billy"" Carter; Thomas S. Foley; Patricia Harris; Hamilton Jordan; Bert Lance; Walter Mondale; Thomas ""Tip"" O'Neill; Anwar Sadat; and many others.